The Club is now in the next stages of the application process for a grant to help pay for a building accessibility project the Club is working on. One of the conditions of the application process is that we can show due diligence in soliciting donations from friends of the Club to assist and pay for this very important project. Therefore, we are formally advising all interested parties, that all monies raised through our Donation Jug will be 100% dedicated to our Building Accessibility Fund. Portions of donations received through our Nautical and Lower Deck functions will also be dedicated to the fund. If interested in donating to this fund and do not wish to use our Donation Jug, we are also accepting donations that will be deposited directly into our Building Accessibility Fund and will be used only towards this project, you may leave an envelope with your donation at the Clubroom bar with the Duty Steward to the attention of the Treasurer/Building Accessibility Fund (your name is optional). You may also make a donation via the "Want to make a donation?" links at the beginning and end of this webpage. The following are contributors to our fund raising efforts. We thank all those providing assistance with our efforts, the ONVC thanks you for your ongoing support. Bravo Zulu to you all. The Royal Canadian Legion Branch #178, Bowmanville, Ont. Unifor Family Auxiliary No. 27, Oshawa, Ont. The General W. Sikorski Polish Veterans' Association, Oshawa, Ont. 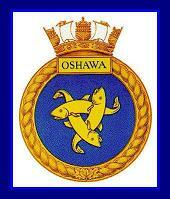 Peterborough Naval Association, Peterborough, Ont.